In 2013, eight community organisations representing the MSM and transgender communities in either national or regional level has participated in JumpStart project. JumpStart is the flagship capacity strengthening initiative of APCOM in partnership with Australian Federation of AIDS Organsiations (AFAO). The initiative leverages on to improve, and build on, the networks’ existing management and advocacy, while encouraging leadership for a community-led HIV response. It serves as a catalyst for networks to explore on their needs with which they can build on, at the same time, to probe into the needs, which the network can devote on addressing for a strong organizational structure. 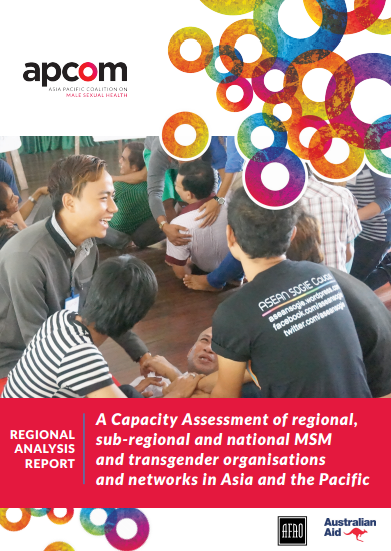 “A 2013 Capacity Assessment of Regional, Sub-regional and National MSM and Transgender Organisations and Networks in Asia and the Pacific” is a report that encapsulates the result of the assessment of these organisations. 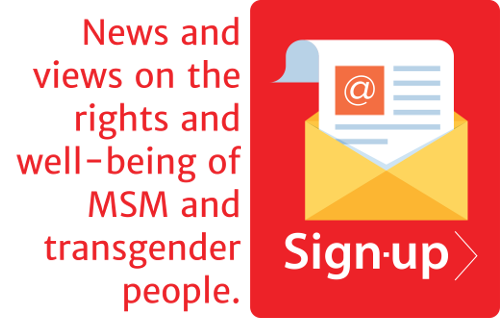 The report identifies significant gaps in both organisational and programming capacity for MSM and transgender people’s organisations. Chief among these is the need to develop capacity in resource mobilisation, with funding gaps currently having a serious impact on organisational activities and development. A lack of capacity to raise long-term funding for programming and core activities is affecting organisations’ ability to carry out advocacy, communication and staff development activities, as well as establish sound governance, finance and administration systems. Big capacity gaps in advocacy have also been identified, and as influencing the legal and funding environment is a key role for MSM and transgender people’s organisations, technical support for improved advocacy should be a priority. The report also identifies a number of key strengths, including the capacity to develop and maintain partnerships, facilitate networking and develop and support membership, and the technical capacity of all 8 organisations was generally considered to be strong. These strengths provide longer-term opportunities for peer support, training and mentoring, depending on staff and resource availability. However, it is likely that for the foreseeable future technical support will need to come from technical support providers and other international agencies through training, workshops etc., via targeted investment from donors. The infographic below summarizes the report for your cursory reference.